If you are in debt and you want to achieve financial freedom, a balance transfer is one of your options. If you have mostly credit card debt and you can afford to pay off the minimum of your debts, then this might be one of the options that can get you out of debt. But before you finalize your decision to use it, you have to understand the art of balance transfer as it helps you in debt relief. Like any other program conceived to aid with credit obligations, you have to know the whole process in order for you to fully comprehend if this solution will lead you closer to your financial goals. While your primary goal right now is getting rid of your debts, you also have to consider your other goals. These can include buying a home, putting up a business or other achievements that you want to work on. For instance, if you want to get a future loan to finance your startup business, you need a good credit score for that. Make sure the debt relief program that you choose will not only solve your problems now but will also put you one step closer to your life goals. To help you decide if this debt relief option will do that for you, let us identify the process that you will have to go through. A balance transfer can consolidate your debt but the details are different with debt consolidation loan and debt management. Step 1: Find out if you qualify. The thing to do is to know your debts. 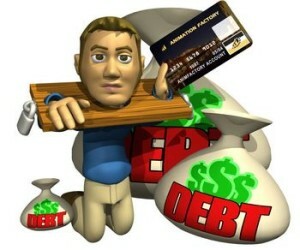 This type of debt relief program mostly works with unsecured debts – especially credit cards. If you have a couple of them and you want to combine them, then balance transfer is your option. Another qualification is a good credit score. Most credit card companies may disapprove of your card application if you have a bad score because it shows that you cannot be trusted to pay your dues regularly. Lastly, you need to have a steady income. There is no debt reduction here, just zero or an extremely low interest rate that is only effective for a short period of time. You will still end up paying everything that you owe so a job is a necessity. Step 2: Select the balance transfer card you will use. There are many companies that offer zero interest balance transfer cards but the introductory promo usually varies. Make sure you know the details and you read the fine print before you make your choice. It helps to go to an authority site that will help you compare promo details. Use balance transfer calculators that will help you compute if you will indeed get savings when you opt for this program. We recommend that you use Bankrate, Creditcards or Calcxml as your online calculator. Step 3: Apply to the credit card you have chosen. Fill out the application and send it to your chosen credit card company. You are advised to let your old creditors know that you have every intention of transferring your balance to another card. They could try to offer a lower interest for your debts. Weigh your options carefully and if none of the offers appeal to you, proceed with the balance transfer. Step 4: When accepted, wait for the balance transfer to be completed. If your application for the balance transfer card is accepted, the new credit card company will get in touch with your old creditors. They will be in charged with the transfer. Make sure you continue to pay your old accounts even as you wait for the transfer to be complete. Just double check that these will be credited when the debts are shifted. Take note that you will be expected to pay off a balance transfer fee that is usually 3% of the transferred amount. Step 5: Close off old accounts and pay off your balance transfer card. Once the debts had been transferred, it is advised that you close off the other cards to keep yourself from using them again. That way, you only have to deal with one card and you can easily monitor the payments that you will make on it. The whole concept and process of balance transfer is to help you get out of debt. However, there are tips that you can follow to ensure that it will be certain. In any debt relief program, you have to consider how you will implement it. Not only that, you have to compliment it with other practices to help make it more effective. This is actually when proper financial management is a must. You don’t have a financial planner or a debt negotiator. That means you may want to create a plan that will keep you from missing a payment. Sometimes, the convenience of consolidating debts can be a double-edged sword in the sense that it will keep you from being too focused on your debt problem. That could lead you to forget payments. Live frugally for a while. The zero interest promo of the balance transfer card usually lasts for 6 to 18 months only. After that, it will go back to the high-interest rates that credit cards are notorious for. Make sure that you pay a significant amount of your debt while there is no interest being imposed on it. Get used to living on a budget. To ensure that you can meet payments and maximize it during the promo period, you have to create a budget. This type of plan will help you identify how much money you have. It can also help you put as much as you can into your debt payments compromising your basic necessity funds. All in all, balance transfer is effective but make sure that you know what you are doing before you commit to it. While it is effective in consolidating credit card debts, there are a couple of pitfalls that you have to avoid. Also, always read the fine print on the contract. Know the details of the promo so you are not caught by surprise when the zero interest rate expires.